House is a building where we live, where we enjoy and where we can relax. Every one miss his/her home when one goes away from it. This is very close to some ones heart. One can portray it on paper. 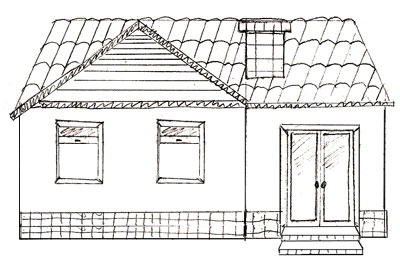 Here Today I am sharing a video tutorial to draw a house building. You can easily and step wise draw the home. This is very easy drawing that can be even done by kids or beginners. So why not give it a try. Lets give it a try and start drawing beautiful house. Give us feedback on our video tutorial of different drawings. We are working hard to provide you beginners tutorials that should be in step wise manner.